If you have not rung church bells before we can teach you. Parental consent needed for under 18's. Experienced ringers are always welcome. 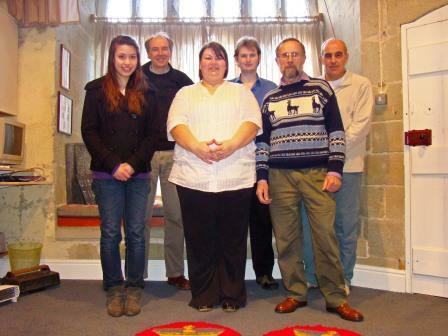 On Sunday afternoon 28th February 2011, Jayne Hayball successfully rang her first Quarter Peal (ringing continuously for 45 minutes) at St Martins Parish Church. Jayne has only been learning bellringing since last June, and has made excellent progres as a result of attending the Monday night bell practices regularly. Anyone wishing to learn to ring should phone 01691770207 or come to the Monday practice 7.30-9.00pm. Follow this link to read a short history of the clock and bells of St Martins Parish Church.